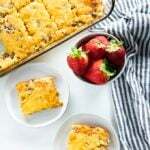 Bisquick Breakfast Casserole is a classic breakfast favorite the whole family will love! 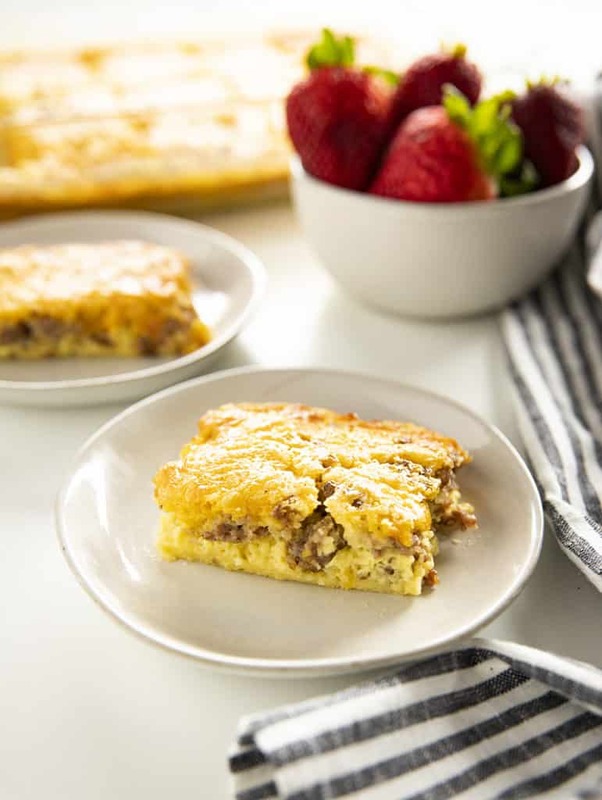 A savory breakfast casserole full of sausage, eggs, cheese and the easiest to put together! 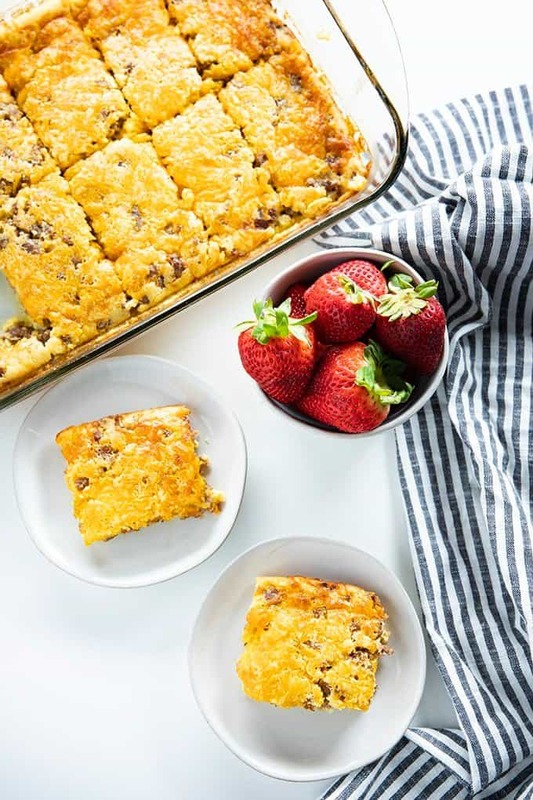 Bisquick Breakfast Casserole is the first breakfast casserole that I ever made many moons ago! It was a staple in our family growing up and I looked forward to it so much on weekends and holiday’s! Now, this year I am actually even making it up, cutting it into squares and bringing it along camping with us. We can simply reheat it for an easy no-fuss breakfast! 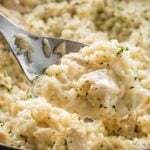 I also love to whip up a pan of it during the school year. It will last for a good 5 days in the refrigerator. I typically make it up on Sundays and then I can have a hot breakfast ready to go for my kiddos on school mornings. 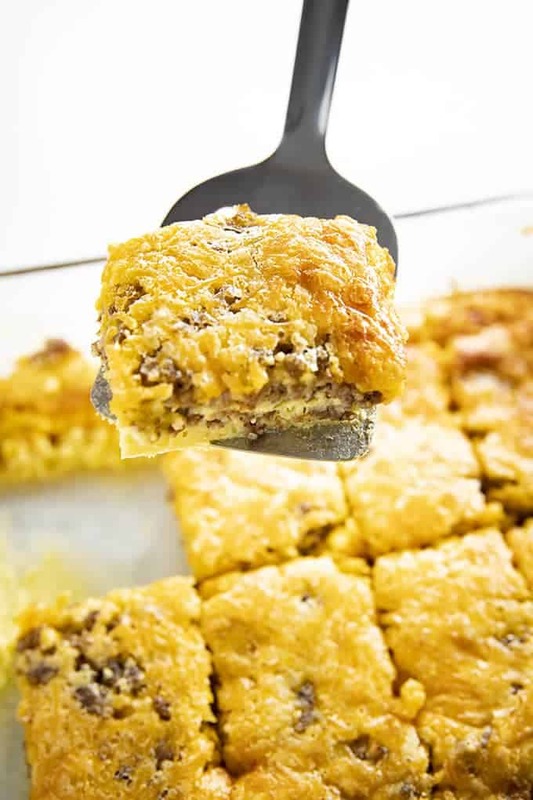 First things first for this breakfast casserole is browning your meat. I love to use maple flavored breakfast sausage, but feel free to use any type of sausage you like best. 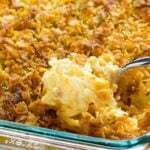 This casserole is also great with cooked bacon or cooked diced ham. 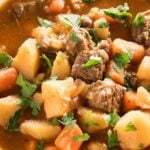 Once your meat is ready to go, simply spread it out in a greased casserole dish. Next, you simply mix together your Bisquick baking mix with eggs, milk, and salt and pepper. Then, I go ahead and add in a dash of hot sauce and about one Tablespoon of maple syrup for extra flavor. The syrup and hot sauce are of course optional. 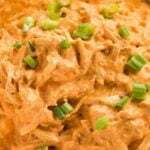 Add in some shredded cheese to your Bisquick mixture, and pour directly over the meat in the casserole dish. 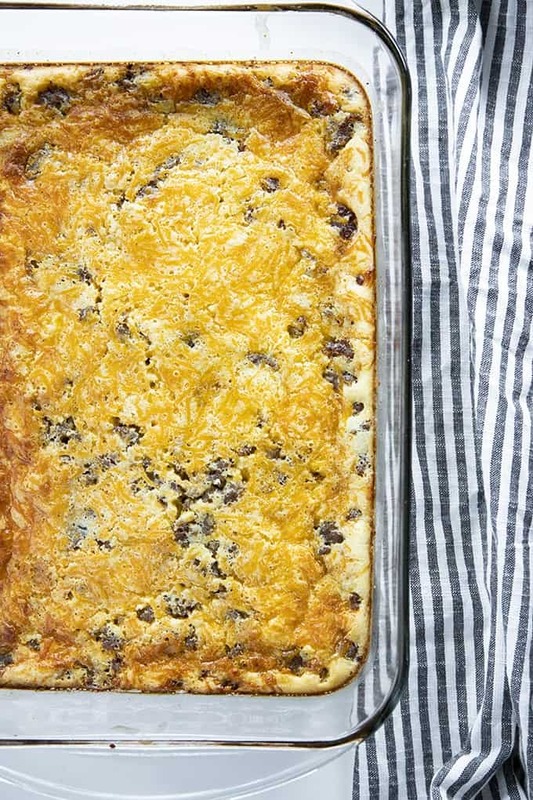 I always use freshly grated sharp cheddar for this casserole. I know some of you like potatoes in your breakfast casserole, so feel free to add some shredded hash browns to this if you’d like. When I add hash browns I stick to about 2 cups for best results. 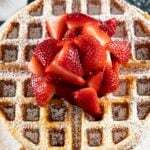 If you’re looking for other easy and delicious breakfast recipes, give these a try! Preheat oven to 350 degrees. 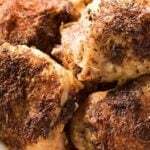 Grease a 9x13 inch baking dish with non-stick spray and set aside. Cook the breakfast sausage in a large skillet over medium-high heat until no longer pink. Drain grease and pour sausage into prepared 9x13 inch baking dish. In a large bowl mix together the Bisquick mix with the eggs and milk until well combined. Fold in the cheese. Stir in the maple syrup and hot sauce if using. Pour the Bisquick mixture evenly over the cooked sausage. Bake the casserole for 25-30 minutes until set and golden brown. 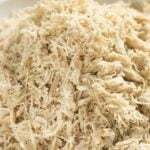 NOTE: 2 Cups of thawed shredded hashbrowns can be added to the Bisquick mix before baking if desired. can this dish be frozen? Does it still taste good?